So here we are on Day 4 of National Vegetarian Week and I hope you are enjoying the week by indulging in all things veggie. Today I am featuring Tabouleh, a traditional Levantine Arab Salad often eaten as part of a mezze. Tabouleh derives from the arabic word 'tabil' which means 'seasoning'. In the middle ages, edible herbs formed and essential part of the Arab diet, and they still feature predominantly in middle eastern cuisine today. 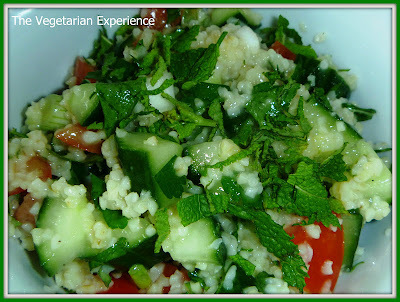 Parsley, which features heavily in Tabouleh has so many health benefits as does Mint. Herbs are so important for good health. People relied on herbs for thousands of years to self medicate before the introduction of chemical drugs. Many people still use herbs to improve their health today, especially in countries where medical care is expensive to access. Foods like Tabouleh which contain lots of herbs, vegetables and not much fat or salt are so good for you, and ingredients like bulgur wheat help to bulk out salads and help us to feel full. The combination of the mint and lemon juice provide a zingy, zesty taste which is so refreshing on a hot day like today. I used Bulgur wheat for my tabouleh, but my good friend Alice also makes it with Quinoa and she says it works really well. This is a fantastic salad and we all loved it. I think the kids wuld have preferred it without the dressing, and chopping the herbs very finely will help to disguise them for kids who don't like eating 'leaves'. This is currently top of my list for a refreshing meal on a hot day! Bring the blugur wheat & water to the boil, and simmer for about twenty minutes, then drain, allow to cool and refrigerate until cold. OR place the bulgur wheat in a bowl, cover with the water and leave to soak for around 1 1/2 hours, then drain any excess water, spread on a muslin or paper towel, and allow to dry for 30 mins. Cut the cucumber in half lengthways and scoop out the seeds. Chop into small sized chunks and place in a large bowl. Cut the tomato in half and scoop out the pulp & seeds. Cut the skins into small chunks and place in the bowl. 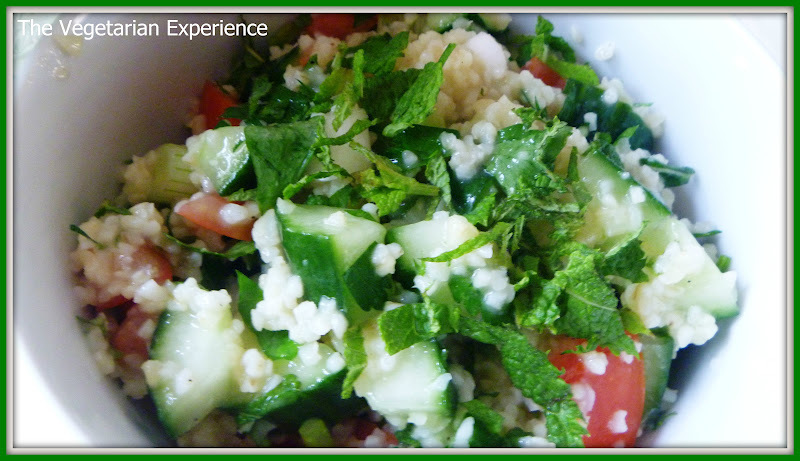 Add the chopped parsley, mint, spring onions and bulgur to the bowl and mix well. Place the lemon juice and sea salt in a small bowl. Whisk together well until the sea salt has dissolved. Season with some black pepper. Gradually whisk in the olive oil to make a dressing and then pour the dressing over the salad. Toss the salad and dressing well together and then serve immediately. You could serve Tabouleh with some pitta bread, as part of a mezze or as a side salad or replacement for vegetables. 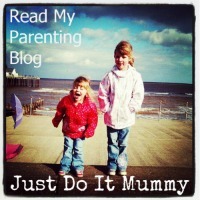 Thanks for linking up to Britain's Got Salad. Great recipe...I love tabbouleh. 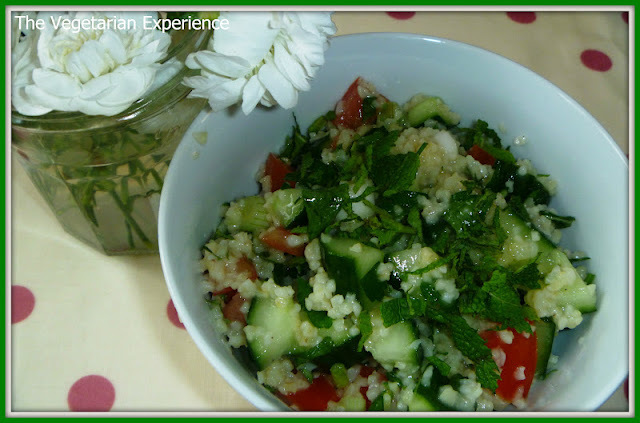 This sounds delicious, it's ages since I had Tabouleh, I look forward to trying this recipe!